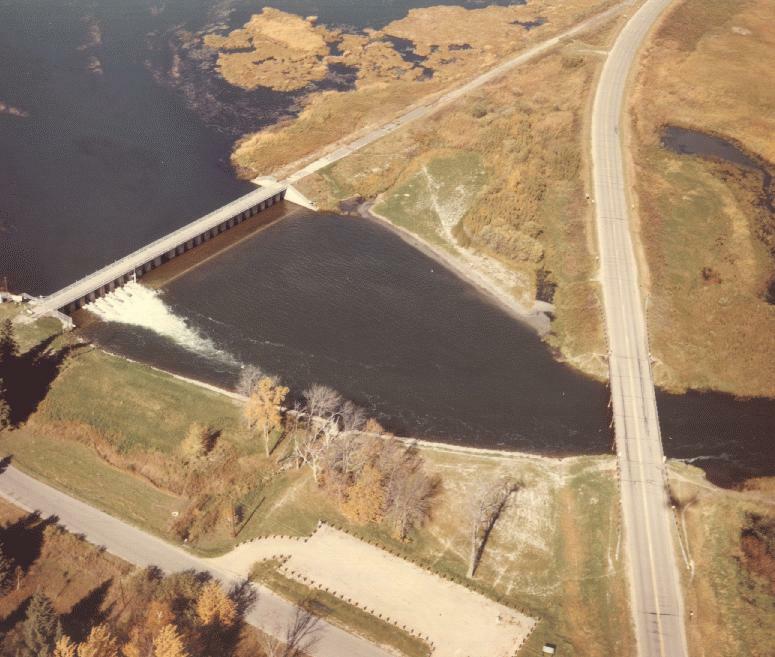 Do you have photos, historical accounts or other items pertaining to the Federal Dam area? Would you like to share this historical information with the world? LakesnWoods.com would like to publish your Federal Dam photos (current or historical) or historical accounts on this website. Original materials can be returned and your privacy will be respected. Federal Dam is a city in Cass County, Minnesota. According to the United States Census Bureau, the city has a total area of 2.27 square miles (5.88 km²), of which, 2.25 square miles (5.83 km²) of it is land and 0.02 square miles (0.05 km²) of it is water. The elevation is 1,309 ft (399 m). As of the census of 2010, there were 110 people, 49 households, and 26 families residing in the city. The population density was 48.9 inhabitants per square mile (18.9/km2). There were 137 housing units at an average density of 60.9 per square mile (23.5/km2). The racial makeup of the city was 56.4% White, 23.6% Native American, and 20.0% from two or more races. There were 49 households of which 28.6% had children under the age of 18 living with them, 36.7% were married couples living together, 6.1% had a female householder with no husband present, 10.2% had a male householder with no wife present, and 46.9% were non-families. 32.7% of all households were made up of individuals and 12.3% had someone living alone who was 65 years of age or older. The average household size was 2.24 and the average family size was 2.92. The median age in the city was 48 years. 23.6% of residents were under the age of 18; 8.2% were between the ages of 18 and 24; 13.6% were from 25 to 44; 38.2% were from 45 to 64; and 16.4% were 65 years of age or older. The gender makeup of the city was 50.0% male and 50.0% female. 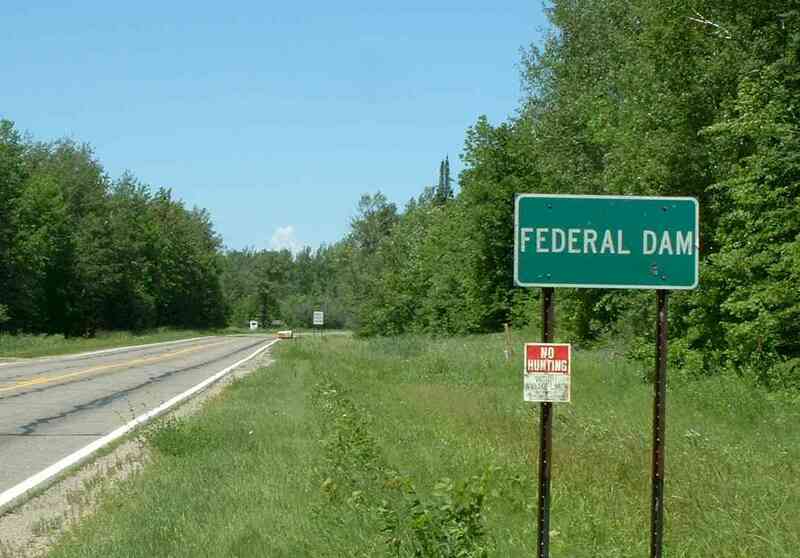 The village of Federal Dam began as a railroad town. It was the terminal or division point for the trains going from Superior, Wisconsin to Federal Dam and from Thief River Falls to Federal Dam. The line was completed on September 24, 1910. Despite heavy snow the night before, the first train went through on November 14, 1910. With the building of the Soo Line and the choice of Federal Dam as a division point, the village grew rapidly. 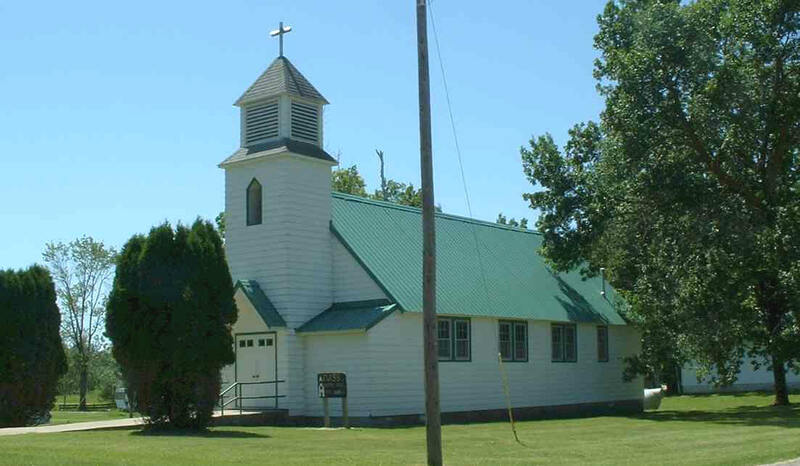 The village was incorporated on October 30, 1911, and separated from Gould township on April 23, 1912. The Corps of Engineers issued its first license for a public boat landing at Leech Lake in 1913. In 1935, the Federal Dam Improvement Club leased land for a campground for tourists. For many years, the village was in the business of leasing land to launch services for docks. Brochures were distributed far and wide. Trains came out from Chicago on the Soo Line for fishing excursions. Public use continued to expand, and by the 1950’s, recreational facilities at Federal Dam were booming. 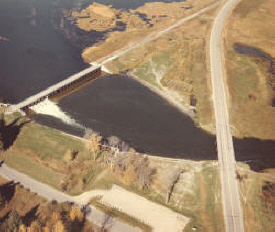 In 1955, Federal Dam gained national attention for the Leech Lake Muskie Rampage. The muskies started hitting on a hot weekend in July and the phenomenal catch lasted about two weeks. 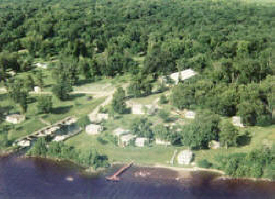 Although Federal Dam has decreased in population from 500 in 1920 to 101 in 2000, the village still serves as a center for recreational activities such as fishing, boating, camping, snowmobiling, and cross country skiing. 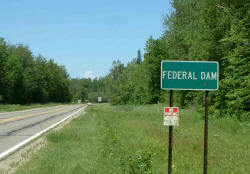 FEDERAL DAM is a city in Gould Township, sections 2 and 3, at the reservoir dam built by the U.S. government on Leech Lake River. It was incorporated as a village on October 30, 1911, and separated from the township on April 23, 1912; it had a station of the Soo Line and a post office since 1910. 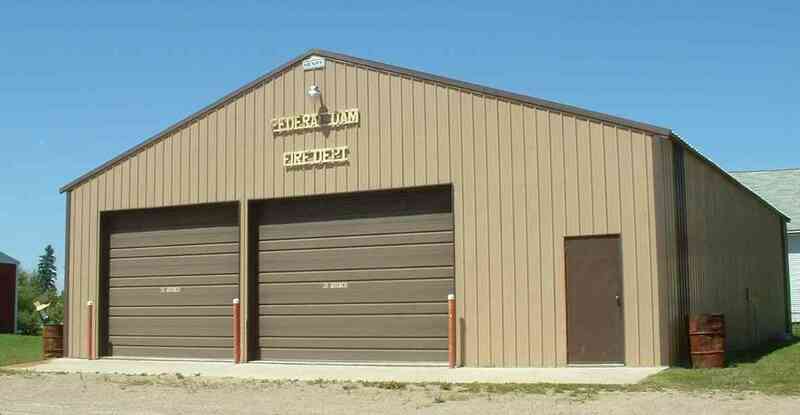 Council meetings are held on the second Monday of the month at 5:30 pm at the Federal Dam Village Hall. 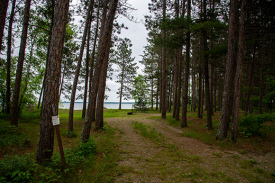 Since the early 1900s Leech Lake Dam has been a popular destination spot for recreational travelers and is one of the premier walleye, perch and musky lakes in the state. 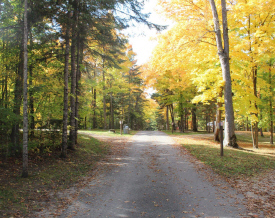 The campground offers a wooded camping setting and a mooring canal for overnight mooring of boats. Almost one-fourth of the shoreline is comprised of sphagnum-sedge bog and is being colonized by back spruced and tamarack trees. 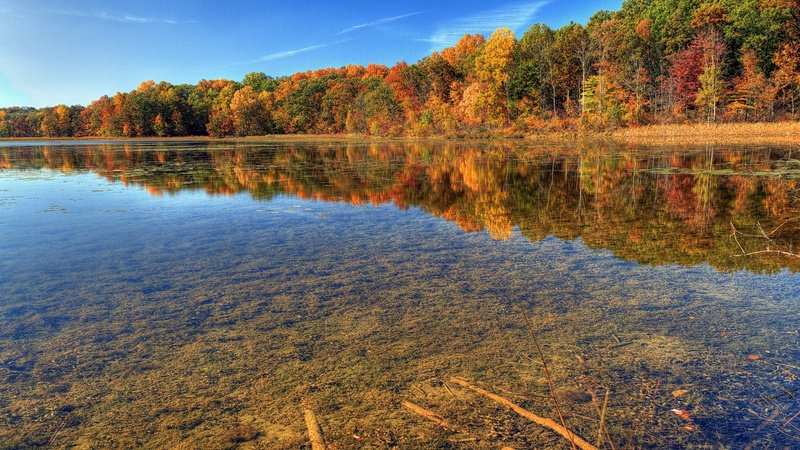 The remainder of the shoreline is comprised of a mixed forest, which include elm-ash, maple-basswood, birch-aspen, and pine-mixed hardwoods communities. These communities hold some of the most complex assemblages of species present in the headwaters area. 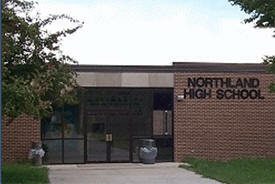 Schools: Federal Dam is within the boundaries of Independent School District 118. 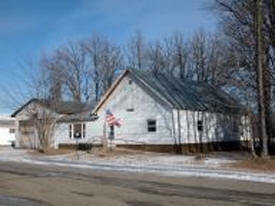 Elementary and high school students attend school in Remer, Minnesota. As of August 2015 there are no longer regularly scheduled Masses at Sacred Heart. 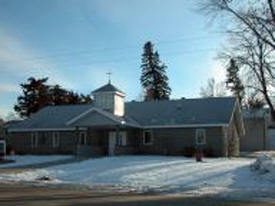 Please join us for Mass at St. Mary Catholic Church, 15 First Ave. NE in Deer River. 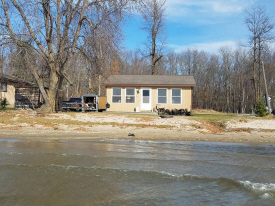 Sugar Point Resort is located on the east shore of Leech Lake, Minnesota, just north of Battle Point and south of the Federal Dam, in Cass County, MN. 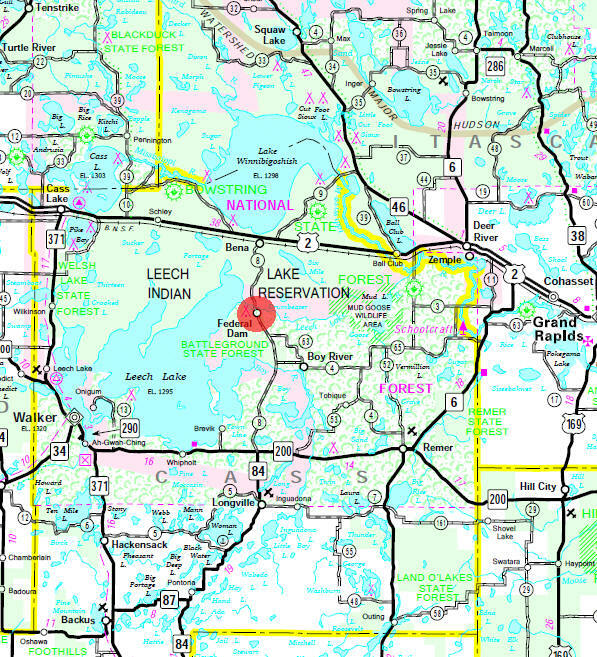 Leech Lake is Minnesota's 3rd Largest Lake, with 111,527 acres of prime angling water. 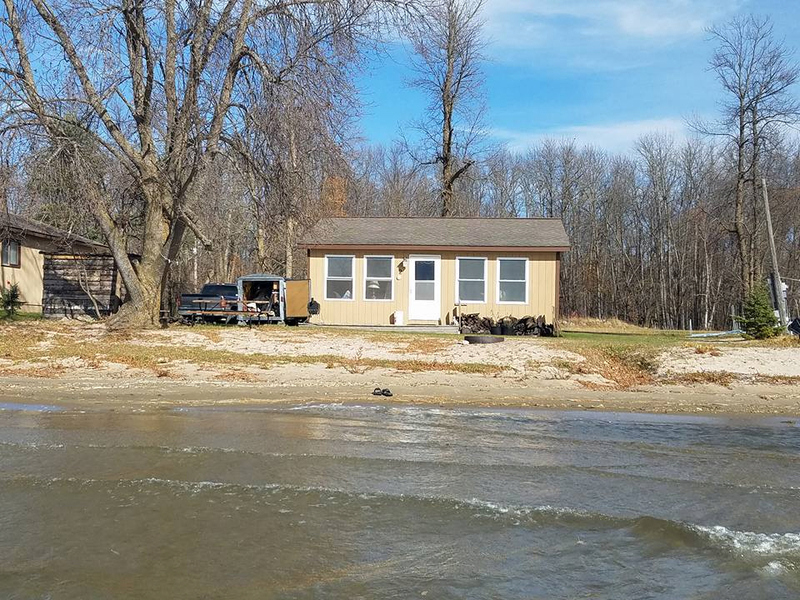 Sugar Point Resort is an excellent and affordable fishing, hunting, water sport, vacation, and weekend getaway destination for you and your family. 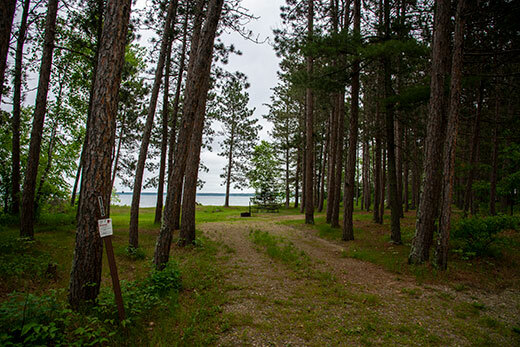 Opening in May for Minnesota Fishing Opener, Sugar Point Resort offers access to countless outdoor activities. You will leave refreshed and long to return! Leech Lake Recreation Area is located in the heart of the Chippewa National Forest in Federal Dam, Minnesota on the Leech Lake River. The area is best known for its fishing and boat access to Portage Bay on Leech Lake, a famous perch, walleye and musky fishery. This campground offers 73 wooded sites with electric hookups, including five sites with full hookups. Additionally, there are four primitive walk-to tent sites. A group day-use picnic shelter with electric is available, as well as two mini-picnic shelters. Amenities include flush toilets, showers, drinking water, laundry facilities, a dump station, boat ramps and overnight boat mooring. Campers enjoy the park's basketball, volleyball, badminton and shuffleboard courts, as well as the horseshoe pits. Younger campers love the playground areas. 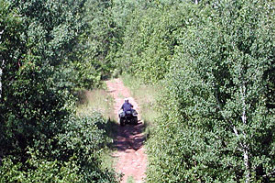 Bader’s (six) fields of natural and planted cover provides an exciting and challenging game bird hunting experience. Morning and afternoon hunts available. A great place for one or many hunters. Novice or professional, you and your dog will find Bader’s your #1 game bird experience! Peterson WC Excavating of Federal Dam, MN provides trusted excavation services. Serving residential and commercial areas, we guarantee prompt and reliable excavations. Let Peterson WC Excavating provide excavation solutions which exceed your expectations.